Many people are familiar with the main methods of taking Kratom as either capsules or orally. However, in the recent past, there have been questions regarding whether we can smoke Kratom or not. There is no doubt that this plant has enormous benefits on humanity especially when it comes to relieving pain. Nobody limits us as to what we can do, and that is why today we ask is it wrong to be adventures and try to smoke Kratom? Find out our detailed answer in this article. 4 How to decide whether to smoke or not? 4.1 1. Do you suffer from any chronic disease? 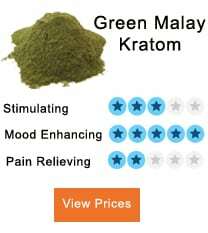 If you are wondering whether you can smoke Kratom well, then the answer is yes you can. However, what has been a cause for concern in the recent past is the question as to whether smoking the plant is as effective as taking it orally. According to the various researchers conducted, you will need to smoke a large amount of Kratom for you to get the slightest of effects. As compared to taking the product orally, various studies show that you have to smoke at least 20 grams of Kratom for you to experience the same effect as taking 2 grams of the same product orally. Yes, you heard that right! 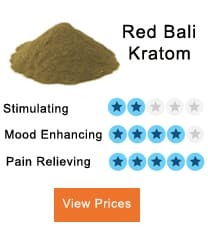 Smoking Kratom could help you deal with withdrawal syndromes especially if you were addicted to other types of drugs such as opium or cigarettes. Bearing in mind that smoking Kratom in small percentage does not cause any severe effects on your body, it can help you quit from smoking other addictive substances without necessarily having to undergo harsh withdrawal syndromes. It goes down as a benefit because if it can help you quit the habits that you want to stop, it is not a bad idea to try it. If you manage to smoke Kratom to the level that is enough to cause effects on your body, you can experience perfect emotions such as jubilation and freedom from anxiety. At times when you are low, all you need is a motivation to see you through the tough times, and that is exactly, what smoking Kratom provides. There have been reports where people smoked Kratom and ended up having the same emotions as people who took the product orally. Moreover, the habit saves you from anxiety that may be making you uncomfortable. 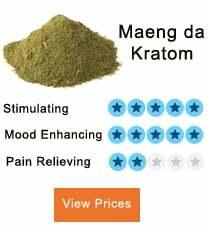 One of the essential functions of Kratom is to relieve pain. If anything, history dictates that for very many years people have been using the plant to reduce themselves from chronic pains. If you smoke Kratom in right amounts, you can experience these benefits as well. Especially for people who have chronic diseases like cancer and arthritis, smoking Kratom can relieve them from massive pain. Smoking Kratom is just like any other form of smoking and brings about the same harmful effects. For instance, smoking Kratom can cause the formation of tar on the lungs thereby leading to diseases such as lung cancer. If anything, smoking Kratom is an even worse idea because you have to smoke a lot of the product for you to at least feel the effects. In the process of smoking more, you continue to damage your lungs leading to lung cancer. As compared to other forms of taking Kratom such as oral means, smoking is far much less effective. As aforementioned, you might have to smoke twenty grams for you to feel the same effects that you could have felt if you to two grams of the product orally. In that case, smoking is not only dangerous but a pure waste of time as well. How to decide whether to smoke or not? 1. Do you suffer from any chronic disease? Before attempting to smoke Kratom, first determine whether the habit will bring you any benefits. For instance, if you have a chronic disease such as arthritis or cancer, you can go ahead and smoke because if you achieve the required levels, the Kratom will be able to relieve you from much of the pain. On the other hand, if you do not have any chronic disease and you are in good moods, smoking would be bringing yourself more troubles so desist from the idea. We all agree that smoking is not one of the most effective ways of ingesting Kratom. In that case, before resolving to smoke, explore all your options including taking the Kratom powder orally or taking the different capsules available. If you are not able to acquire and use the other two ways, then you can resort to smoking. We have seen before that one of the ways that smoking Kratom is beneficial is when trying to quit using another addictive substance such as opium. If you are looking for an alternative to leaving your current smoking habit, try Kratom. Otherwise, desist from the habitat all costs. Many people ask the question, can we smoke Kratom? My answer to them is very simple, yes you can. If anything, the idea is not all bad because it comes with some benefits such as relieving pain, curing anxiousness and helping one to quit addictive smoking habits. In the end, the practice has some significant downsides including a possibility to cause dangerous diseases such as lung cancer, the process is very ineffective, and it is time-consuming. However, the dilemma regarding whether you should smoke Kratom or not is one that you can solve personally. Assess your situation well and make a choice that works for you. No complaints; Despite a little nausea, intake of Kratom for me was pleasant. Tried smoking it, but nothing much happened. Never tried smoking – My research and experience was smoking Kratom destroys the alkaloids due to high temperatures. I smoked Kratom once and it kinda worked. Great either way – Kratom is best consumed as food, but it also works when smoked. I don’t smoke or drink anything, so this has been an experience of a lifetime. Great!!! Recreational’ Intake of Kratom has an all body high that is very chill. Only downside was a light numbing of the throat and tongue. Not Bad. Managed to detox 60ml of methadone!!! It works, Pretty damn narcotic actually. It works!! Hated it: The taste is quite horrible!! My happy place was 10 g or 2 tsp. Sleep, hands down the best sleep I have had in a long time. Smoked Kratom from a bong. It was a great experience! Even though it is not a party drug, great for a relaxing evening. Not a drug. No, you can’t smoke kratom. If you do, you’re destroying the alkaloids that make it work. I mean you CAN smoke it, but it’s the same as setting your money on fire and inhaling that smoke. It will taste terrible and have no effect outside of placebo. Consume your kratom orally. This article is strange and irresponsible as it says you can smoke it, but then also tells you it’s ineffective and you may have to smoke 20 grams(!) to get the same effect as 2 grams (four capsules) orally. Why on earth would you smoke it?